Crowdfunding and Angels – a marriage made in heaven? Angels have been one of the main routes to start-up finance. Angel funding offers not only large amounts of finance in return for equity but also experience and connections to mentor the entrepreneur. Can crowdfunding offer this? Can the crowd who invest be mentors – even if the talent was available there would be too many with too many conflicting viewpoints. One idea is that the platform offers What Grow VC calls a “community of practice – to come together, to share knowledge and information, and in so doing to accelerate innovation”. Grow VC openly aims to renegotiate power relationships, value and ownership within the entrepreneurial world. Will crowdfunding seem quicker and easier than gaining Angels support which involves hand shaking, meetings and presentations. But crowdfunding too is unlikely to be as simple as posting a proposal on a platform and waiting on the investors coming to them. This is certainly not the case with donations based crowdfunding. Unlike donations based campaigns which tap the owners personal and business social networks, those seeking investment will be pitching in competition with others. Currently the have to be neutral unlike licensed brokers. Will entrepreneurs cut the Angels out? Giving fewer opportunities for the best projects in the hottest sectors? Or will they come in over the $500,000 cap on raising finance through crowdfunding in the US. 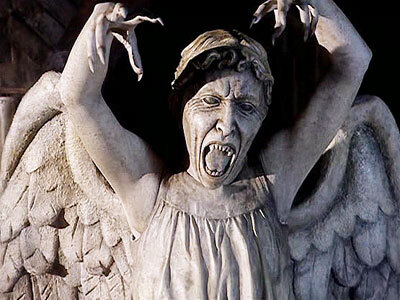 Not that I am comparing Angels to Dr Who’s scary adversary of course! But no Angel investor took on the Pebble Watch which raised over $10 million on Kickstarter – hardware it seems has less of a profit margin than software. And would an Angel investor have insisted production stayed within the US rather than going to China – doubt it. What’s to stop an Angel, or group of Angles, taking the whole of an investment opportunity through crowdfunding or making an offer attractive enough to persuade the entrepreneur to take their pitch off the platform. 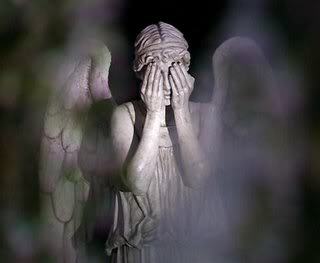 Will crowdfunding cut out the Angels at later rounds when the company seeks further investment. Angels shy away from deals where there are too many small (unsophisticated) investors. Crowdfunding equity in the UK has been going a year and Angel investment has not lost its dealflow (the number of, and rate at which, potential deals are offered for investment). It will be a year maybe before it takes off in the USA and a few years after that before we see major changes in the investment landscape. ← The Pebble – where will the crowdfunding jobs be?